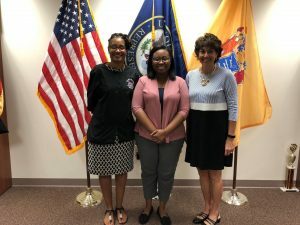 This summer, ACNJ began a series of advocacy trainings to teach parents and providers the skills they need to become effective advocates for affordable high-quality child care. We held three trainings across the state in Newark, Trenton and Camden. The trainings were so popular, we have begun to expand our reach this fall, offering another training in Paterson last week and one in Toms River next week. We have had such an overwhelming response to the trainings, participants are excited to become involved in our campaign advocacy efforts! Read stories from two of our amazing advocates sharing their experiences. Meet Ashanti Jones, mother of a 1-year old boy. As a first-time mother, Ashanti wanted to find a high-quality child care center to send her son where she felt he would be in a safe environment to learn and grow. When she started visiting child care centers, she realized the high cost of quality — one center cost $337 a week! Ashanti visited more affordable child care centers, but they were just not up to par. In the end, she and her husband made the difficult decision for her husband to leave his job and stay home with their baby. Ashanti knew she had to do something to address the lack of affordable high-quality child care in New Jersey. 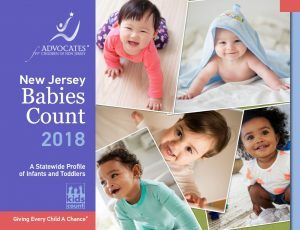 This past May, she attended Strolling Thunder NJ, along with parents and babies from the South Ward Children’s Alliance in Newark where she works, to bring attention to this issue. 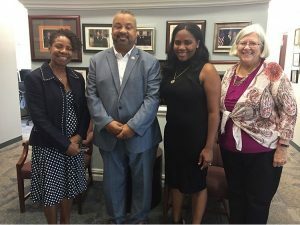 Afterwards, she attended ACNJ’s advocacy training in July and accompanied ACNJ staff to a meeting with Congressman Donald Payne in August to share her story and advocate for more affordable high-quality child care. ACNJ wants to thank all of our wonderful advocates for participating in our advocacy trainings. While we have data, we need your stories to help enhance our advocacy efforts! Would you like to become involved in the Right from the Start New Jersey campaign?